SwitchTec, the high-performance dry adhesive technology was invented in Switzerland over 40 years ago. This started the first chapter of a long and successful story. Today, SwitchTec from Uzin stands for quality, a complete product range as well as dependability and confidence when it comes to laying floors. All SwitchTec products are odour-free and guaranteed to contain no solvents, resins or softeners. 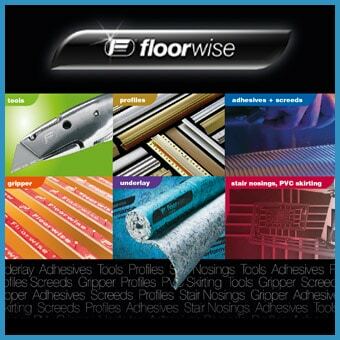 SwitchTec products also provide fitters with exceptional reliability and five years guarantee. When renovating a floor its speed and appearance which counts above all and SwitchTec adhesive products from Uzin are quick and easy to apply. With Sigan 2 for example, a new carpet or PVC can be applied easily and directly to existing elastic coverings without having to remove old coverings. This not only saves time and money, but also avoids dirt, dust and noise. A further benefit is that the new covering is ready for foot traffic immediately and all areas are available for use without interruption. There are also benefits when it comes to future replacement. When the covering applied with Sigan 2 becomes worn after years of use, it can be removed quickly and easily, without leaving any residue or adhesive behind. The result is creative freedom and a 100 m2 of flooring can be renovated in only six hours.